Isn't She Lovely: Hello Lila, it's me Mommy!!!! Hello Lila, it's me Mommy!!!! 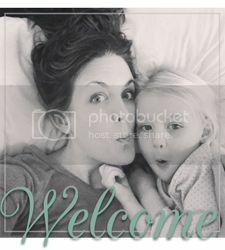 This is going to be one of those posts where I tell you a tidbit of parenting information followed by the advice I'm trying to read or put into practice. Sadly, nowhere in this post will there be an actual review of said information. Everyone keeps telling me "just wait until she's three". Lila gave me a big, fat run for my money from about 18 months until maybe a month ago. If you regularly read this blog or talk to me even once in a blue moon, you know what I'm referring to. The terrible twos hit and when they did it was a blow to my entire psyche. Things like "do I have Jekyl and Hyde for a daughter?" or "what am I doing so wrong that is making her HATE ME?" ran through my head daily. She's brilliant. She's sweet and cuddly. She's helpful and lovely and I could go on and on. But she pretty much stomped on all my buttons daily. Lila will be three in a little over a month. The changes I am seeing almost seem unreliable. Truly, everyone I know with children over the age of three has said something to me about the "trying threes". I'm so in love with this age and always have been. But now I feel like I'm waiting for the other shoe to fall. I should take my own advice and stop comparing and/or thinking she will be like all other kids. That's what I hear you saying in my head. While the changes in her have been so refreshing, there are one or two behaviors I can't seem to figure out how to handle. She does things with almost no fight now but I have to ask her eighteen times. Sometimes I even move her in the direction of where I need her to go to get the ball rolling. I will have said it eight times and then she will so sweetly look at me and say, "mommy, what did you want me to do?". I am fully aware that this is completely normal. But, I also feel like by saying things over and over I am teaching her that she doesn't have to do something the first time I ask. Most of the time I don't feel like she's not listening on purpose. Regardless, I have been in search of ways to attempt to get her to hear me/listen the first time. In the process of looking at parenting strategies I came across a lot of negative talk about time out and how it doesn't work. The more I read the more I realized it really doesn't. I mean, it does in the moment, but the long term often doesn't pan out. I started reading more and more about Parenting with Positive Guidance. I already do some of what this philosophy entails, but I was relying pretty heavily on time out for a while. Plus, to me not listening the first time isn't really time out worthy. Anyway, I bought an ebook from a blogger I like and I watched a webinar by Amy McCready, founder of Positive Parenting Solutions. I feel like what I've read and listened to so far have been incredibly helpful and I haven't really even scratched the surface. Just like anything else in parenting, there are a million ways to tackle a problem. There are a million choices to confuse and muddle things just a bit more than they already seem to be. I'm curious to know if anyone who reads this has any tips or solutions for the behavior known as selective hearing? In the mean time, as I get further into this stuff I will update my progress. LILA WILL BE THREE INA LITTLE OVER A MONTH. We went to a playground yesterday that we hadn't been to in a very long time. I'm not even sure Evie was born the last time we went. This playground has all levels of play equipment. I do remember the last time we went I felt like I had to follow Lila on every single thing. Yesterday she and I both beamed at the reality that now she can do all of it by herself. SHE WAS SO PROUD. There was one section that had a ladder but it was one of those ladders that curves as it goes up. For some reason she was most proud of her ability to get to the top using this particular ladder. In this area there was another girl playing. I'm fairly certain she thought Lila was much older than she is. When Lila told the little girl she was about to be three it was clear she was more than shocked. 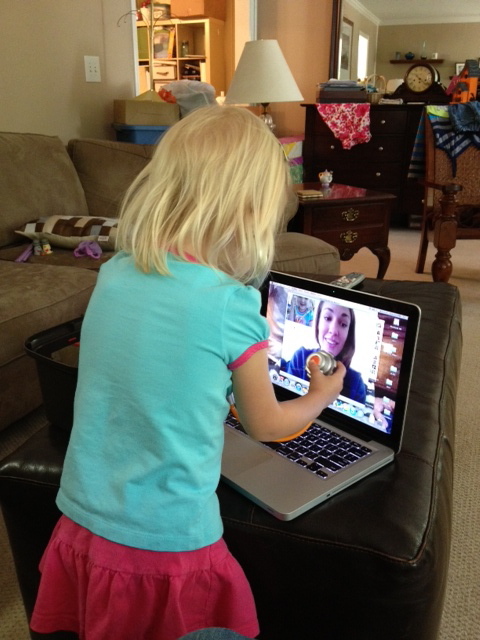 And even though she was five and acting all shocked, she really wanted Lila to play with her. Again, Lila was so proud. Every time she went up the ladder she would say, to herself, "I am such a big girl". And every time she did this it took everything I had not to start crying. I have a horrible memory. The older she gets the harder and harder it is for me to clearly remember her as a baby. Sometimes I watch videos, but that can be kind of heartbreaking too. And I'm always trying to live in the moment with Evie and her baby days at the same time. Thank God for technology. There is no true way to bottle up these days, but at least I have videos.